that image is too cute and I love your color combo! 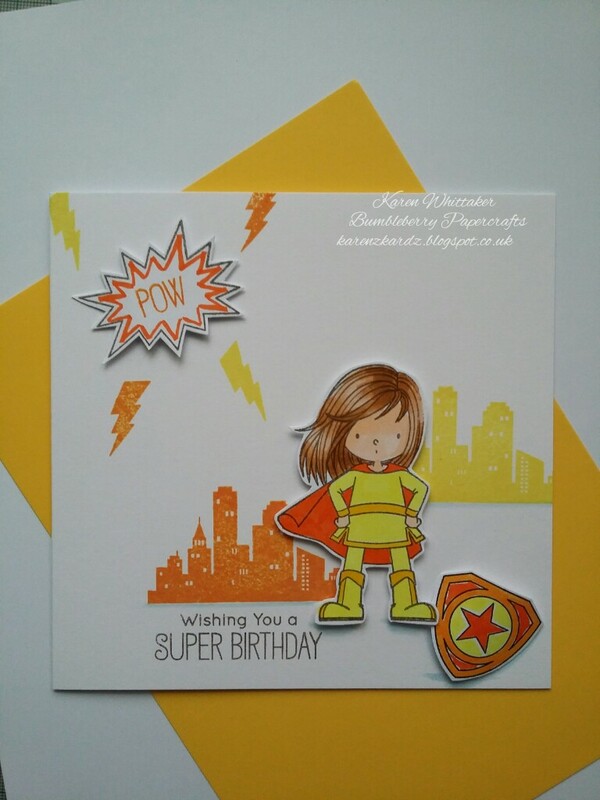 Love how bright and colourful this card is, and how you've laid out the different elements. Very well put together, and a lot of fun. This is gorgeous, my kind of colours too! Cute image. Have a fabulous week.